CPHS Graphic Arts students' work will be on display this weekend at the 2018 Spring Art Show held at the SeaTech Skills Center. 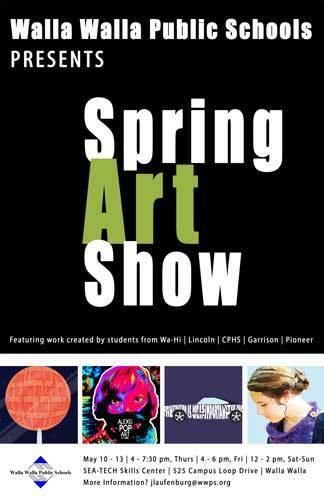 This is the third year that CPHS has partnered with the Walla Walla School District to showcase student artwork. The art show will be open to the public beginning Thursday, May 10, 4:30 -7 pm; Friday, 4-6 pm; and Saturday-Sunday, 12-2 pm.